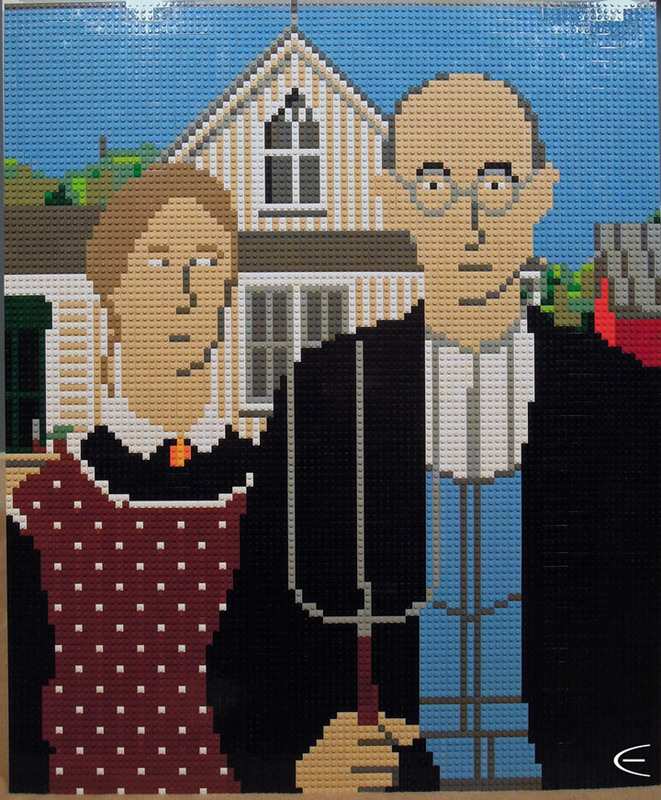 American Gothic is one of the most iconic paintings of the 20th century. It has been recreated and reimagined in almost every way imaginable. Cole Edmonson has created a huge Lego mosaic of the painting. It measures in at 36.25″ x 30″ which makes it a little larger then the original painting. It’s always good to see a Lego mosaic in actual bricks rather then computer rendered. ← A Lego Color Chart, Can You Find Any Missing?